Wooden caskets appeal to many people, including carpenters, wood workers, anyone who loves fine furniture or prefers natural materials. 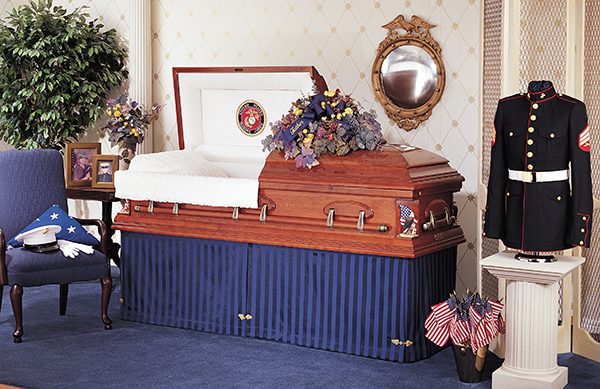 Wooden caskets are often hand-sculpted and polished to a fine finish. Just as every tree is unique, no two wooden caskets are identical. Each has a unique warmth and beauty of its own. 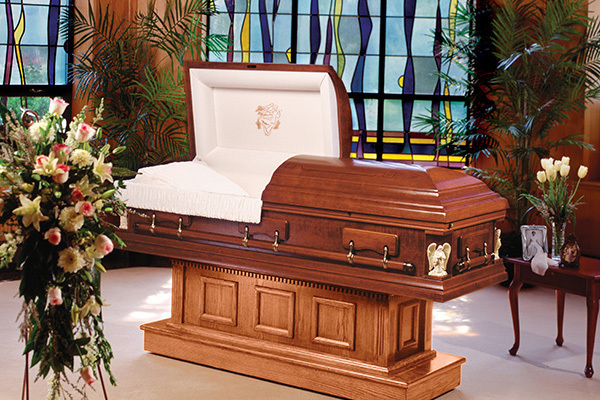 Wooden veneer caskets provide a less-expensive and sustainable alternative to premium hardwoods. With these caskets, real wood veneers are applied to engineered wood. Engineered wood is made from the remains of the tree after it has been milled into lumber. The fibers are cleaned and mixed with adhesive resins to provide strength and durability. This engineered wood allows more than 95% of the tree to be used, reducing the number of trees harvested.